What did the judge say when the skunk entered the courtroom? Private message to kids only! : Don't miss our cool LawMuseum when you're finished this part or our LawFun feature or A Series of Unfortunate Comments! Additional editorial message to the registrar of trade-marks: the fictional use of the term "registered trade-mark" is done solely for the entertainment of our visitors and is neither intended as infringement of, nor subject to prosecution under, any trade-mark or misleading or false advertising laws of your jurisdiction. Your decision to not accept any motion or petition under the above-mentioned laws is, in advance, much appreciated. We'll buy ya a pop next time you're in town! Ok. So what's law anyway? Well, law is nothing more than a huge set of rules for living together. Law is the rule book of your community, of society. It makes our complicated society work smoothly and fairly. Think of the rules of Monopoly®, a complicated set of things you can and cannot do which make sense as you play the game and without which, there is no order to the game. Once you've played a few times, you don't have to reach for the rules every time you roll the dice; just when there is a disagreement or when you do something that you are not sure you are able to do. Law is like that with society; with the large community in which you live with your family; outside of your house. Law includes all the rules of society. There are so many of them, they are kept in big rule books as big as an encyclopedia set, called statutes. We reach for them when, in real life, we need to know what we can or cannot do towards each other or towards things. If you looked, you could find that there is a law covering most everything that you do. The people that write the laws are called government (they also collect taxes!). Some governments, like the government of California (USA) or Ontario (Canada) actually make their statutes so that we can see them on the Internet. For example, see the statutes of Ontario. For as long as we can remember, ever since people started living together, rules became necessary to set out what they could and could not do with regards to their neighbors. Even a long, long time ago, there were rules to decide who owned things (such as land) and who had to do what (such as obey a king or go to war). Writing law was easy back then: a king usually did it all by himself, without having to talk to anybody else about what those laws would say. These kings just about never asked the people what they thought of a certain law; they just decided it and that was that! Civilization began to develop as men and women began to exchange goods and to travel more. As life became more complicated, more complicated laws were required. It was no longer possible for people to remember what the king's laws were because there were too many of them. So they were written down. Four thousand years before Jesus Christ was born, the Babylonian Empire was governed by a Code of Laws, which means that the laws were written down in a book called a Code. This Babylonian Code was quite strict. Some of the penalties included burning at the stake or drowning. For more, see The Origin of Law. Today, every country has laws. In most cases, different parts of the government writes different laws. 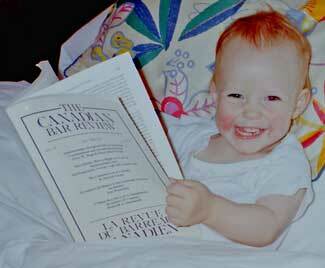 For example, towns write laws which they call bylaws, provinces and states write laws and then nations write laws. So there can be quite a large set of laws which set out what you can and cannot do. Each government has selected a list of things that they consider to be a serious danger to society and they have listed these actions that you cannot do in criminal law, and the illegal actions are called crimes. Criminal law covers the really serious things like violence or stealing. These are very severely punished by the government and could mean time in jail. When a crime occurs, the government sends people to stop it (the police) and then has the crime investigated immediately. The person they think committed the crime is brought before the court and, if the court thinks that it's true that the person did it, he or she is ordered to pay money (a fine) or sent to jail. Many people seem to think that there is only criminal law. That is not true. In fact, there are more non-criminal laws than criminal laws. That doesn't mean that they don't have to be followed. It just means that in these cases, the government will not take care of bringing your case to a judge for you. You have to do it yourself. But if the law says that something cannot be done and someone has done it, even if it is not in the criminal laws, then a judge will order that the situation be corrected. Canada and the United States are examples of a democracy, a modern form of government, which means that the citizens choose people amongst themselves to write the laws. There are different names for these chosen law-makers such as "politicians", "members of parliament" and "senators". More and more countries are becoming democracies. They write laws by getting together in a meeting and suggesting different laws. Gradually, several of these suggestions are supported by enough to be put forward for a vote. If a majority of the group approves the suggested law, then it becomes a law. Laws can also be erased by this group. A constitution is known as the "law of laws" because it spells out the procedure for writing laws and can contain some special conditions that all laws must meet. For example, the Canadian constitution says that you cannot have a law that is purposely aimed at a certain group of people because of the color of their skin (see Charter of Rights and Freedoms). The Canadian Constitution also says what laws the provinces or states can write and what laws the national or federal Canadian government can write. Lawyers are people who have gone to university and have studied laws and the legal system. They also usually belong to a professional group called "bar" or the "law society". It is rather difficult to become a lawyer and requires a real dedication to studying and to "the law" because there is so much to learn. Before you can go out and represent others before judges or give legal advice, as lawyers do, you really have to know most of the laws and to have a strong sense of justice and fairness. Some people just have it; others need lots of taining and rely on that learning to guide them. The best lawyers are naturally good at fairness and justice and they do all the reading! Some very famous people are lawyers. The most famous lawyers are at The Law's Hall of Fame. 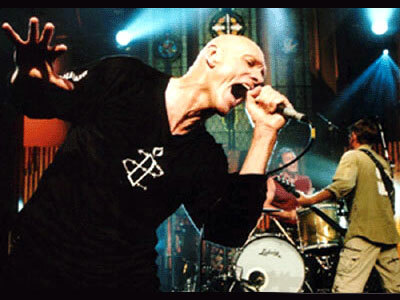 But some celebrities are also lawyers, such as the singer Julio Iglesias, Midnight Oil singer Peter Garrett (picture), television talk-show host Geraldo Rivera and British comedian John Cleese of Monty Python fame. Judges have to be lawyers because they apply the rules of law to peoples' stories. For more information on the law and legal systems, browse through Duhaime Law's other Internet pages. It is not written in complicated lawyer-English so you should be able to understand things. And remember, there is a Timetable of World Legal History and a legal dictionary to help you learn more about the law. And remember to check out our very own Police Station! If you've really got guts, you might want to wander down to our Law School or for laughs, don't miss our World's Funniest Lawyer Jokes or our Dumbest Things Ever Said in Court pages.